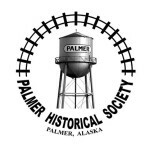 The Palmer Historical Society is dedicated to our hometown of Palmer, Alaska, a quaint little town, nestled in the beautiful Matanuska Valley and surrounded by the Talkeetna and Chugach Mountains. We are truly a hometown kind of community. The first people to live in the Matanuska Valley, where Palmer is located, were the Dena’ina and Ahtna Athabaskans. In May of 1893 Alaska pioneer George Palmer (born in Pennsylvania) made his way to Alaska from Seattle where he was a logger. Mr Palmer was a rugged entrepreneur with a history of doing business around the Matanuska valley which included growing the first vegetables, the first privately owned stores, and the first appointed U.S. postmaster in Knik in October of 1904. Mr Palmer also brought the first hay reaper into the area, started selling farm equipment, renting horse teams, and established trading posts to trade and supply the people of the area with food, goods, mail, fur, etc. The town site of Palmer served as a gateway to the Alaska interior for fur traders, trappers, gold miners and those wanting to live life on the frontier. Palmer also served as a homesteading area for miners who had returned from the Nelchina gold stampede in 1913 to lead an agricultural lifestyle. Development of the coal mines north of Palmer, Eska and Chickaloon, and the influx of gold miners heading to Independence Mine in Hatcher Pass contributed to the increase in population. In 1914, John Bugge, Roy Cornelius, John Loken, Adam Werner and Ed Duncklee came by steamship together as the first homesteaders in the Palmer area. Mr Bugge started a farm where the Palmer-Wasilla Highway and Glenn Highway intersect. The Werner homestead, located north of downtown Palmer, celebrated 100 years and is a testimony to Adam and Fanny Werner’s skill and hard work. In the late 19th century, the U.S. government began to take interest in the Matanuska coal fields located north of Palmer. This interest sparked financiers to consider constructing the Alaska Central Railroad in 1904. The advent of World War I created a need for high quality coal to fuel U.S. battleships, and by 1917 the US Navy had constructed rail from the port of Seward to the Chickaloon coal deposits. At the end of WWI, the U.S. Navy distributed land in the coal fields to war veterans and additional land was opened to homesteading. Farmers, miners and homesteaders began to populate the area. The Palmer Post Office opened July 6, 1917 with Georen O. White as postmaster. In 1925 the Post Office was abandoned by Mr. White. Mr. Ward and Mr. Felton petitioned Washington for the post office to reopen but the government declined their request. They then petitioned to open the post office using a combination of their names. The petition was accepted and James W. Felton was appointed postmaster of Warton post office July 13, 1931. On July 1, 1935 the post office returned to the name of Palmer with James W. Felton continuing as postmaster. With railroad accessibility, new markets for agriculture began to open up for farmers in the Matanuska Valley. Although the Federal Department of Agriculture broke ground on the experiment station in 1917, Palmer didn’t become a bustling community until the Colonist families arrived in 1935. In one year, Palmer transformed from a mere whistle stop rail siding to a planned community with modern utilities and community services. Our town site was designed in 1935 during the Great Depression as one of the 100 planned FDR New Deal “resettlement communities”. In May of that year, 204 families from Michigan, Minnesota, and Wisconsin (including one family from Oklahoma) were relocated to the Matanuska Valley in order to develop an agricultural community in what was then a Territory. Many of the structures built are now in a nationally recognized historic district. 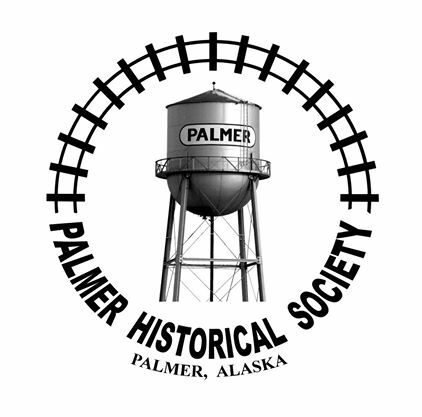 Palmer incorporated as a City in April 1951 and has been an Alaskan leader in community infrastructure development through the years, with many dedicated citizens giving caring thought to community needs and lifestyle amenities. We invite your participation and efforts to promote, preserve and protect our town’s unique history! Keep a watchful eye – you may be able to save a historical treasure for us!